DPA Microphones d:facto II Vocal Microphone has been awarded a prestigious mipa (Musikmesse International Press Award) in the Live Microphone/IEM category. The award was presented to DPA’s CEO Christian Poulsen at a special mipa Awards Ceremony held during Musikmesse/Prolight + Sound on Thursday, April 11. Widely regarded as the "Grammys" of the Musical Instrument/Pro Audio industry, the mipa Awards are voted for by editors of over 100 magazines from around the world. The 2012/2013 Awards had over 40 categories covering musical instruments and audio equipment. 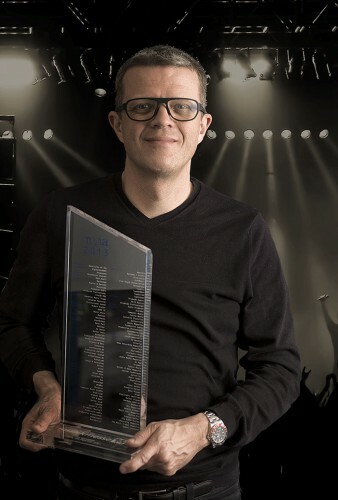 Commenting on the Award, Christian Poulsen says: "We are absolutely delighted that our d:facto II Vocal Microphone has been recognised as a ground-breaking product, and that we were able to beat off stiff competition from other well-known and respected microphone brands. We spent three years developing this microphone and we are very proud of our achievement. We always knew we were onto a winner and it is very satisfying to see that the cream of the world’s pro audio and musical instrument press agrees with us." DPA’s d:facto II Vocal Microphone brings true studio sound to the live stage by offering an extraordinarily natural sound, superior gain before feedback and extreme SPL handling. In addition to use with the new wired DPA handle, the d:facto II provides singers and engineers with the added benefit of a state-of-the-art adapter system that allows for seamless integration with many professional wireless systems such as Sony, Lectrosonics, Shure, Wisycom and Sennheiser. Equally at home in sound reinforcement and recording applications, the d:facto II is the vocal microphone that the music industry has been waiting for. Its simple plug-and-play features allow it to reproduce an extraordinary natural sound, which reaches the extreme sound level handling of 160 dB. As with all DPA mics, the d:facto II is superbly linear in frequency and phase, both on- and off-axis, while its impressive definition and accuracy reproduces a singer’s voice effortlessly. It also sets new standards its robust three-stage pop protection grid that ensures the removal of unwanted noise. During Prolight + Sound, folk pop band SHEL performed on the DPA booth using the new d:facto II Vocal Microphones in several wireless configurations. Already fans of DPA’s d:vote™ 4099 Instrument Mics, which they use, SHEL recently took the d:facto II Vocal Microphone on the road for concerts in Denver, Salt Lake City and Los Angeles and are now on tour in Europe visiting Ireland and the UK. In picture: Christian Poulsen with the award.